Want to dazzle like the First Lady Michelle Obama at the White House Correspondents' Dinner? Make your own statement with a pair of glamorous earrings from Gottlieb & Sons. These three selections are sure to turn heads at your next dinner party. 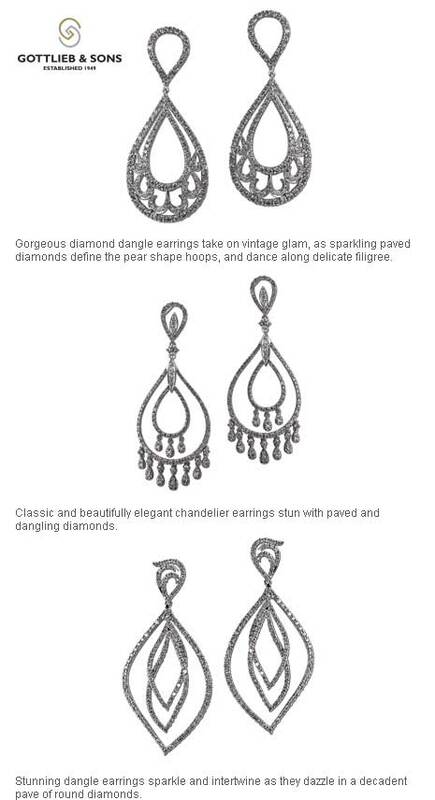 Visit one of our local retailers to choose your next pair of statement earrings.